School of Disruptive Prototyping. Co-designing the next products and services of Digital Culture, Education and Media. Manual + Design Thinking under the OS Method. If your company needs to initiate or accelerate innovation processes in digital culture, digital communication or education, we co-create with your team products and services prototypes in 24 hours of work, with a bottom-up consulting functioning. We use the Manual Thinking tools, designed by Luki Huber, the prestigious industrial designer based in Barcelona. Download the OS Method, 2019 version. 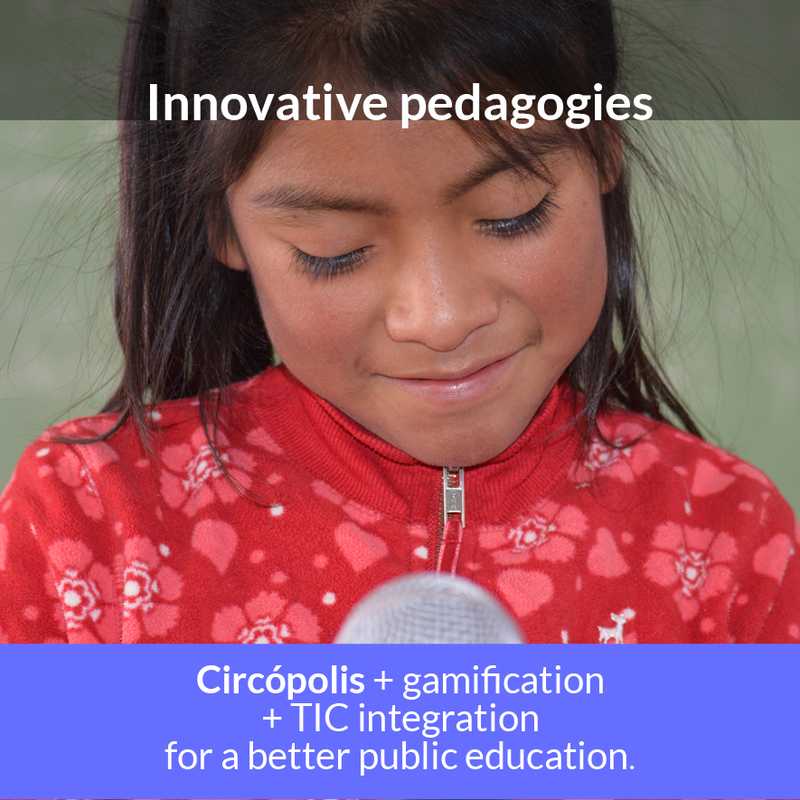 We created Circópolis + gamification actions + IT strategies to design or execute innovative pedagogical processes from your public school or educational institution. 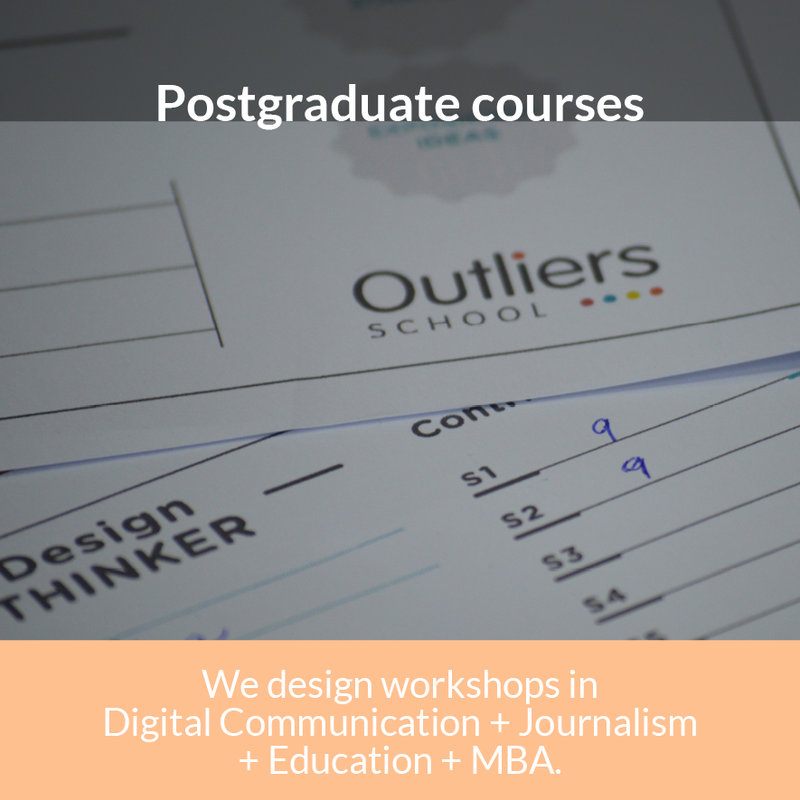 If you want to offer from your university an academic offer in pedagogies of agile prototyping, we offer workshops for postgraduate courses in digital communication, journalism, education, innovation and business administration. More than 15 years doing international research in the digital communication, education and media ecosystem. Our mission has been to create a rationale that brings together the best of several methodologies for design thinking, based on five basic aspects. 1. Emphasizing with the target audience. Understanding the needs of those for whom you are designing, translating comments from stakeholders with deep understanding, and use this understanding to sketch prototypes of services and products. 2. Develop in a small group with limited production time. Generate a range of possible solutions to transform problems into opportunities, working intensely in short formats, thinking about the product or service designed, while attending to a holistic consumer experience as a system. 3. Promote rapid prototyping implementation with a small budget. If successful with early adopters in the first phase, you may move forward with greater complexity and a higher budget for execution. Promote prototype solutions without the availability of huge financial resources. 4. Prototype and introduce prototypes. Communicate the essential elements of a solution to stakeholders so they can understand them easily. 5. Promote design thinking as policy by decision makers. If this strategy is not supported by decision makers, this is translated to “play to innovate” without expectations actually getting to the solution of the problem. Download a free version of: PROTOPÍA. La contribución de Outliers School a la evolución de la cultura digital, la educación y los medios en Iberoamérica, by Hugo Pardo Kuklinski, March 2019. 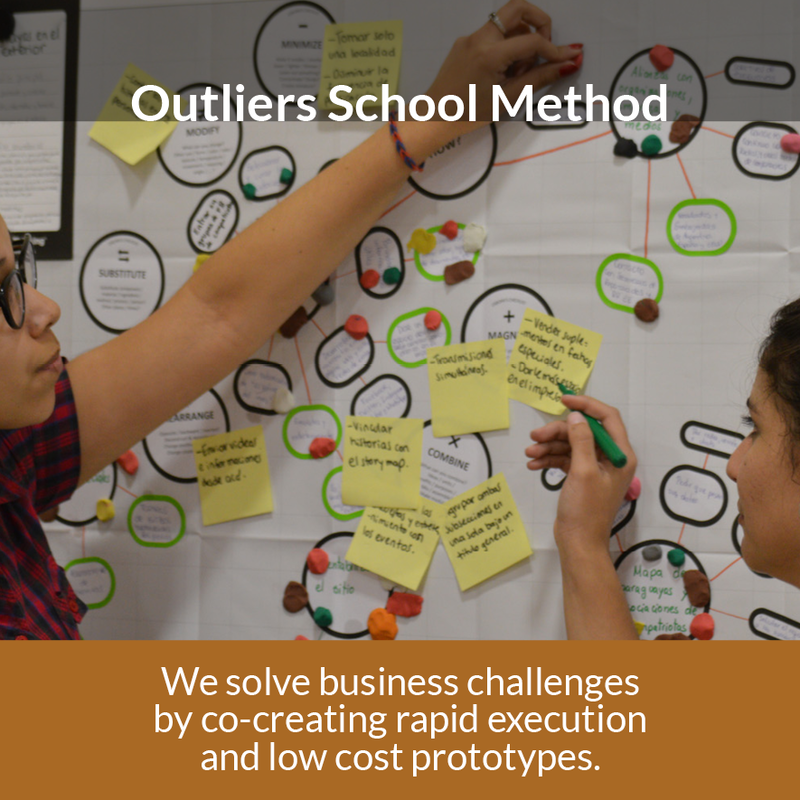 Circópolis is an itinerant pilot of Outliers School, training teachers and students in Latin America. Circópolis is based on the development, implementation and collaboration of teachers and students to use innovative teaching practices, with an emphasis on learning by doing and gamification. Circópolis: CIRCOPOLIS Fábrica de Juguetes, Justo Daract (San Luis, Arg) (2017). Escuelas Rurales Argentinas, San Pedro de Yacochuya (Salta), April, 2016. SER0 Laboratorio Vivo (Colombia), Agosto, 2016. The experience includes events in COLOMBIA and ARGENTINA during 2016 and 2017. Each event will last for 5 to 30 full days in educational institutions. If you want to be a Circópolis City, email us at info (at) outliersschool.net. Our philosophy is to empower teachers and students from different cities of Ibero-America to promote learning processes based on 12 learning by doing practices recognized worldwide. This interactive training experience is designed using the train-the-trainer model which encourages replication through the dissemination and systematization of the experience. For this, a TV channel Circópolis will be implemented. The whole process will be filmed and released publicly in order to spread the practices, incorporate new local practices and expand the Circopolis community throughout Ibero-America. What are the benefits for teachers and the institution? • The experience focuses on implementing measures which are easily replicated and have zero cost. The Circópolis goal is to use the actions in the short term and to impact the quality of basic education. • Teachers will receive basic training to implement -in the short term- pedagogical practices based on learning by doing and gamification. • The Circópolis team will collaborate in implementing such practices in the classroom. • Teachers will be able to communicate and disseminate their own innovative teaching practices in a digital and global space. • A channel circopolis.net/changuitos/ with a multimedia explanation, the programming of activities, plus a journal of travel and other extra contents. • 12 Practical Guides in pdf format and App version. • Circópolis TV. The aim is to inspire an emerging public to implement recommended practices from the various regions of Ibero-America. • Self-managed digital community Circópolis (in wiki format or CMS). The collection of resources, materials and interventions will not only provide the Circópolis experience, but also provide a bank of ideas designed to multiply the project through learning communities.